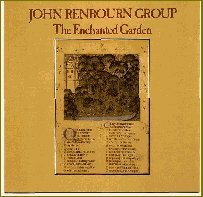 A n unusually enchanting album, even for Renbourn; a follow-up to the John Renbourn Group's 1977 A Maid In Bedlam, devoted to medieval and Renaissance dance and classical music, as well as folk material and Indian ragas. The opening "Pavane" and "Tourdion," not to mention the 18th-century carol "The Truth From Above" - all among the prettiest pieces with which Renbourn has been associated - are the sort of material that Noah Greenberg and New York Pro Musica used to do for classical audiences in the late 1950s, and there's a Rameau harpsichord piece transcribed for dulcimer here as well. Not that they don't "folk out" in various sections of this record - "The Plains of Waterloo," with Jacqui McShee's vocals, could almost have passed for a Pentangle track, and she turns in one of her best performances ever (rivaling Sandy Denny's best) on the eerie and haunting "The Maid On the Shore" and "A Bold Young Farmer" (in her own arrangement). The dazzling eight-minute finale, "Sidi Brahim," is arguably one of the finest meldings of Eastern and Western musical influences you'll ever hear, with a subtlety and developmental sophistication that would humble George Harrison et al. John Molineux, who plays the mandolin and dulcimer as well as fiddle, succeeds fiddle player Sue Draheim in the band, which also includes Glen Tommy on snare drum, Tony Roberts on flutes and recorders, and Keshav Sathe on tabla and finger cymbals.